I remember the internal conflict I experienced when I had to choose a name for the daycare. I wanted it to be fun, yet also wanted it to reflect our philosophy of care and our mission. This was a difficult combination to achieve and in the end, I chose the “fun” and marketable name. Don’t get me wrong, I love our brand, but at times I feel it does not accurately reflect our mission completely. Those of you that know us well know that playing all day is only a part of what we do. Our mission is to provide a fun, safe, and enriching environment for the dogs in our care. Our goal is to send home a better dog at the end of the day. For this reason, our daycare is not for everyone. 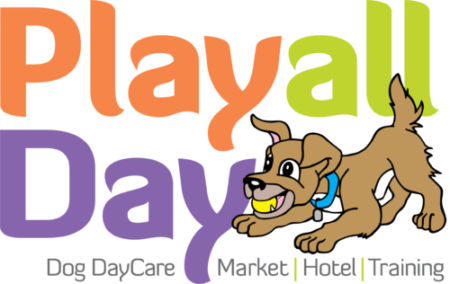 We enjoy working with families that are committed to providing an optimal daycare experience for their dog. This takes commitment on both sides, but the pay offs can be big. The concept of daycare is growing in the Peoria area and this makes me very happy. My friends and family are often concerned when they hear of a new daycare opening in the area and worry about increased competition hurting our business. I don’t look at it that way. There are plenty of dogs in the Peoria area that can benefit from daycare. I’m just happy to see that the concept is catching on and that people are willing to commit the time and money on a worthwhile activity for their dog. But how do you tell if daycare is right for your dog and how do you know if you have chosen the right daycare for your dog? As with all things important, do your research. Not all daycares are created equal. And this is not because one is right and the other is wrong, its simply that they are different and may or may not fit your needs. • Play groups are supervised 100% of the time. • Our staff is trained in reading dog body language and in the management of play groups. • Dogs in our care are trained throughout the day to be polite and mannerly in play group. • Our dogs are looked at as individuals and we strive to enrich the experience of each dog. • Parents are given an honest and thorough update on how their dog does each visit. • Not all dogs are a good fit and we admit that. • We separate our dogs into manageable groups based on size and temperament. • We invest in our facility in dog friendly ways (climate control, flooring, turf, equipment). • We educate our parents whenever possible. • Status quo is never good enough…we are always looking for the next improvement to our dogs’ experiences. I think they hit the most important aspects of how to find the daycare that is right for you. 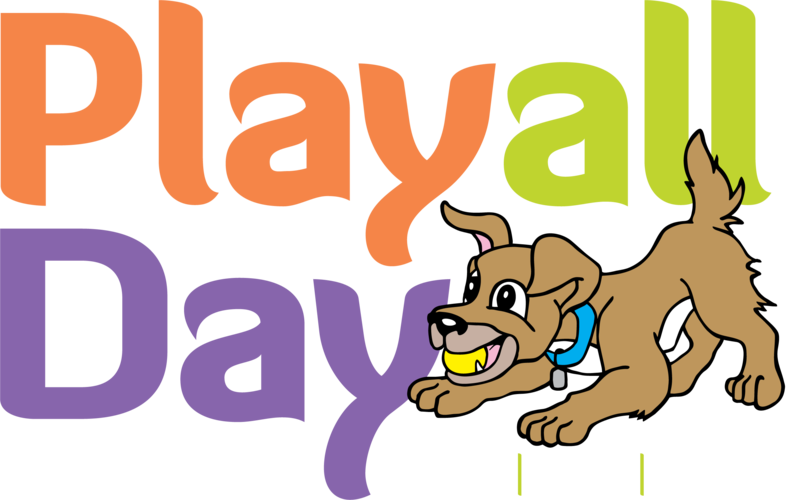 And while the name “Play All Day” may not accurately reflect all that we do as a daycare, I believe that the dogs that we send home at the end of each day do.